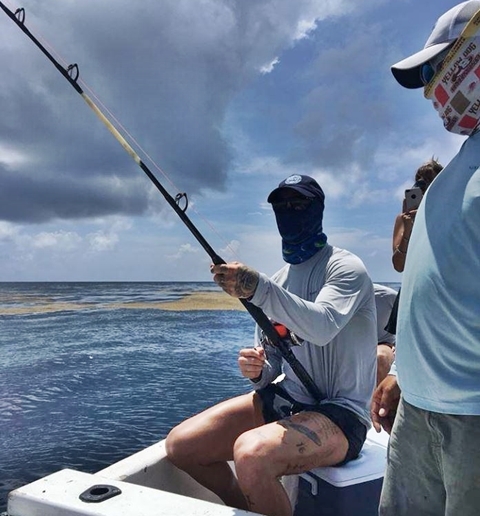 Sergio Ramos who helped Real Madrid to a third Champions League trophy in a row in May before representing Spain at the World Cup, is head over heels while he enjoys his summer break. 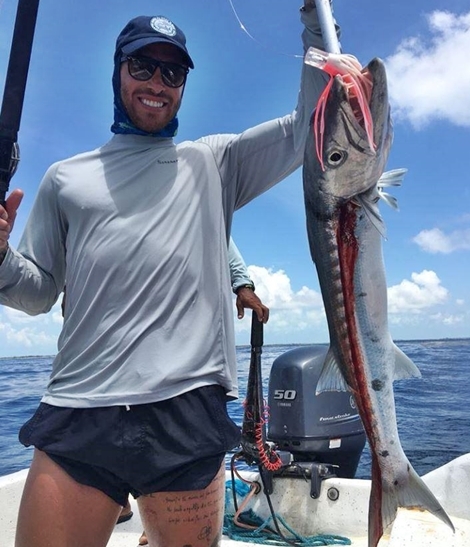 Spanish international defender, Sergio Ramos, who has been enjoying an extended break following his World Cup commitments, went for fishing during his holidaya, and caught a massive one. 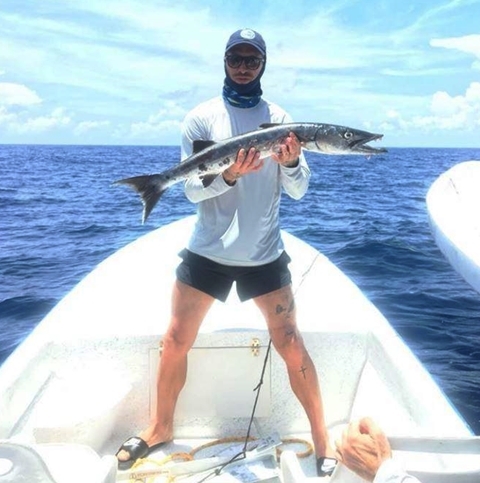 The 32-year-old who has been keeping his Instagram followers up-to-date during his holidays as he spends time with his family in New York, showed-off latest kill - a barracuda fish. Ramos endured a difficult World Cup, as La Roja were eliminated in the first knockout round of the tournament in Russia. After his break, he will back focusing on Real Madrid, who are going in search of their fourth consecutive Champions League title. But Ramos will have to do it without his friend and team-mate of nine years, Cristiano Ronaldo.